Kim Beadle is Director of Financial Administration and Operations. 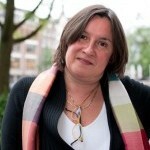 She runs the office based in Oxford and oversees administration in The Hague office. 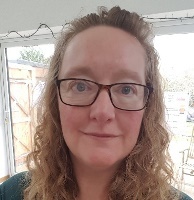 Kim's list of responsibilities are too many to mention but her main priority is to ensure that both offices run smoothly and that all her STM colleagues are kept well informed. Kim also coordinates the STM Board meetings, Team meetings and several STM Committees. She also handles the STM Board Elections every year. 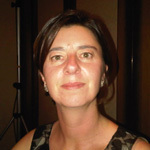 Jo Dinnage STM General Manager Events and Sponsorship, joined STM in January 2008 as Events Manager. Responsible for event sponsorship and the organisation of STM events including seminars, courses, conferences and outside exhibitions. She negotiates with venues on meeting rooms, accommodation, audio visual requirements, catering, reviews contracts, budgets, liaises with guest speakers, moderators, sponsors and delegates throughout the duration from briefing stage to actual event. 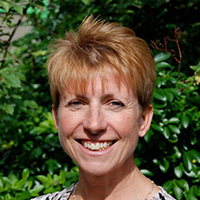 Jo manages the content of the events web pages and app, coordinates promotional material and provides onsite representation. Andrea Powell acts as STM's Director of Outreach and Publisher Coordinator for the Research4Life initiative, a public-private partnership which offers free or very low cost access to scholarly books, journals and other resources for researchers and clinicians in the developing world. Some 200 publishers make their content available through Research4Life, and the other partners in the initiative are a number of UN agencies (WHO, FAO, UNEP, WIPO and ILO), Cornell and Yale Universities. 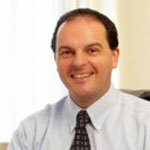 Carlo Scollo Lavizzari specializes in copyright law, licensing and litigation. He is an attorney admitted to practice in Switzerland, South Africa, England and Wales. Carlo's law firm is based in Basel, Switzerland. Carlo advises STM and other publishers world-wide on copyright law, policy and legal affairs, as well as some film, record and software producers. Carlo writes articles and speaks frequently about copyright and related matters. Matt McKay is STM's Director of Communication. 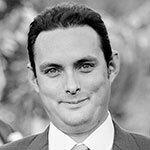 He is a Chartered Public Relations Practitioner who has worked across STM publishing, transport and engineering for the past 20 years. He is responsible for the Association's communications, both externally and with the membership. 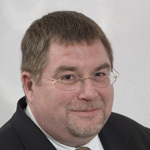 Matt is a Fellow and past board member of the Chartered Institute of Public Relations and a regular industry speaker on digital communications, and measurement and evaluation techniques. Eefke Smit is the Director of Standards and Technology of the International Association of STM Publishers (see www.stm-assoc.org ) and coordinates the activities for STM members in the areas of technology developments and standards, such as the annual STM Tech Trends reports, initiatives on research data, text and data mining, access and authentication,and digital preservation. She coordinates the work of the STM Future Lab Group, and is the staff support for the Standards and Technology Executive Committee (STEC) as well as the STM RA21 Task Force. 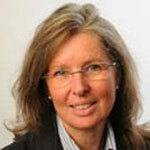 She organizes STM Innovations seminars in Europe and the US and series of webinars for STM members. Representing STM in a variety of industry-wide standards organizations, projects and working groups, she serves as Director on the Board of IFRRO representing publishers and is Co-Chair of the RDA Interest Group on Data Publishing. She also represents publishers in advisory panels such as the CoData-ICSTU group for Data Citation, the NISO working group on Open Access Article Metadata, NISO’s business working group on Supplementary Journal Information, the DataCite working group on Certification Standards for Data centers, and is a member of Force11. She also coordinates the STM participation in the EU-cofunded projects, such as in the past PARSE.Insight and APARSEN (both on digital preservation) and ODE (Opportunities for Data Exchange) and on the Advisory Board of the 4C project (Collaboration on Clarifying the Costs of Curation). Eefke has been active in academic publishing for more than 30 years (physics, mathematics, computer science) and in electronic product development (Scopus, ScienceDirect), holds a masters degree in public administration and started her working life as a writer/ journalist on research and technology (in NRC Handelsblad). 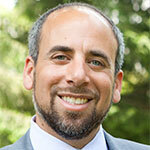 David Weinreich has worked with STM to support STM's public affairs activity since 2011. 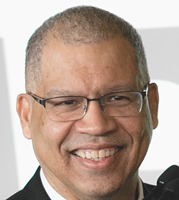 In his role as Director of Public Affairs for the Americas, he provides strategic advice, messaging development, political intelligence and lobbying to help publishers communicate their positions and goals to governments throughout the Americas, with a particular focus on the US federal government. He holds a Ph.D. in mathematics from the University of Memphis, and published several articles in the mathematical literature. In a wide-ranging career, he has worked in K-12 education, academia, non-profit science policy and education organizations, and both the legislative and executive branch of the U.S. government. His consulting firm, Weinreich Strategic Group, focuses on science, technology, innovation, and education policy.